Through nearly 1,000 photographs, this picture essay illustrates the day-to-day activities on the set of the greatest American cinematic saga of all, Gone With the Wind. Many heretofore unpublished photographs—those made by studio photographers, for example, as well as rare snapshots taken by crew members—are included. Many books, essays, and articles have been written on the subject, but this candid chronicle presents a unique view of the daily activities and the many people involved in bringing Margaret Mitchell’s unforgettable story to the screen. 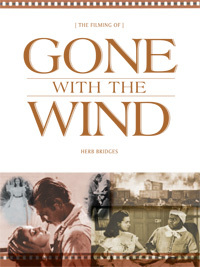 Herb Bridges is a lifelong fan and collector of Gone With the Wind memorabilia. His previous books include Scarlett Fever and Favorite Scenes from Gone With the Wind.